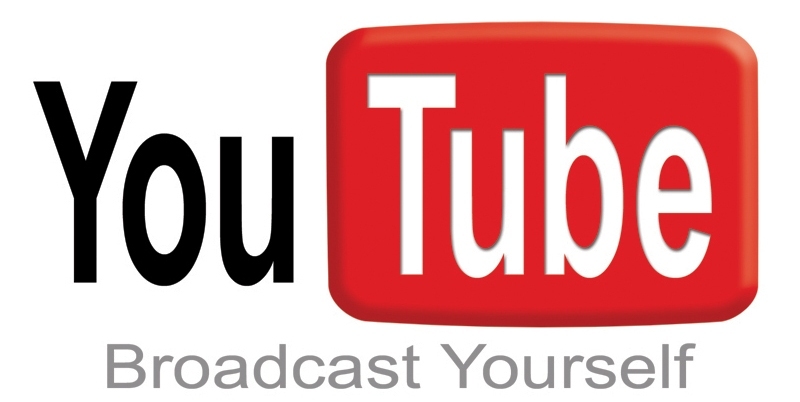 YouTube is the world’s second largest search engine after Google. When YouTube was founded by four friends who failed to get a funny video of a celebrity blooper, they could have never imagined the growth and potential this platform had in store for the future. Today, millions of videos are watched every hour; even more videos are uploaded every day. YouTube is not just about Justin Beiber, Pitbull, Nyan Cat, or funny viral videos; it has evolved to become one of the biggest commercial advertising spaces in the virtual world. Companies and organizations now have a specific budget to spend on creating an ad or campaign especially for YouTube viewers. YouTube has an unique facility to showcase your identity and vision to the world. One of the bottlenecks of a start-up company is the advertising budget and the uncertainty of a return of investment for the same. YouTube can thus help you in overcoming this constraint in a very simple and easy way. It can easily and effectively showcase the brand to millions of people on its network. Here’s how a start-up can build up their business using YouTube. Upload valuable content that demonstrates that you know what you are talking about, such as: commercials or descriptions and demonstrations of the product or service. Product reviews, slideshows that highlight special features and helpful tips, customer / client testimonials, or an expert’s lecture – there are endless possibilities that you can use to highlight your strengths and showcase your product catalogue. Using descriptive videos will help a potential customer to gain an in-depth knowledge about your product or service. This is especially effective when your target crowd is people from around the world. A person from a different country or city can study your product and view all the features or facilities before ordering it or deciding to try out the product in person. Hence, YouTube helps in saving time and increasing productivity. This cannot be achieved by using pictures or other printed material. One of the basic expectations that we have after uploading a video is that it will get millions of views. Well, you should accept the fact that it won’t. Why not? First, because you are not Rajnikanth’s son-in-law and second, because that’s not how it works. Getting a huge number of hits is not impossible but neither is it ‘Nyan Cat’ easy. Not every video can go viral, especially the videos we mentioned above. But yes, they can be a success if implemented correctly. Design a campaign about your product or service, and start putting up interesting and creative videos about it. One of the basic elements of success with YouTube Videos is Creativity and Innovation – not just with videos but also in campaigns (i.e. how you plan to pitch those videos in the most interesting way possible). Try and implement different strategies. It is alright to fail at first because then you’ll learn to make it much better the next time. Here, Creativity is the key for Customer Engagement when it comes to videos. So, put your brain on fifth gear and let it come out with wonderful and unique ideas…or ask Rajnikanth to bless you. With millions of videos viewed every hour, uploading a relevant video is just not enough. Making sure that the video reaches the right kind of people or the target audience is even more important for your YouTube marketing strategy to work. By using the keywords, description and title accordingly, you can focus on your target market – individuals who would be interested in what you have to offer. Niche marketing may be a buzzword today, but it is so for a reason. Targeting marketing works, and is especially effective by using YouTube’s tools. More than that, YouTube offers you Ads, which can make your video reach out to a bigger targeted audience. AdWords is very customizable and user friendly. You can practically select who can view your ads, and at an affordable price. On YouTube, you can create lots of different forms of ads and campaigns. However, it is wise to begin with small steps and then slowly and gradually try out new things. More than the number of views, what matters is the kind of people viewing your videos. Slowly and gradually, you can make your mark with this feature. Now that you have made your video available and accessible, why not maximize its reach through other social networking sites? Post your videos on Facebook, Twitter, LinkedIn, Pinterest and ask your friends and followers to watch them. You can also request friends and acquaintances in your network to help promote the video by sharing it with people in their own network. This will generate more views and increase awareness. While Facebook also provides an option to upload a video, this is not recommendable for professional work as there are a lot of limitations when it comes to Facebook videos. YouTube also gives brands the facility to listen to what people say about your videos. The Comments section in YouTube provides feedback, reviews, and queries from your customers, viewers, or potential customers. We don’t need to tell you how important it is to listen. To be successful in today’s social media market, it is imperative. YouTube provides the tools to help you do exactly that. While sometimes comments from viewers might seem far-fetched, you might glean something important, useful and insightful – and that is what you should look for more than anything else. Not only does YouTube provide you with the feedback mentioned above, but you also receive statistics. You can measure your success by checking the statistics and demographics provided for each uploaded video. That will give you a detailed idea about what works and what doesn’t, to whom it works, where it works etc. in plain simple NUMBERS. It will make clear whether you achieved what you expected or wanted to accomplish. You would then know what is working and what is not. Thus, it gives you an upper hand to identify your flaws and improve ineffective strategies. Once you have a YouTube channel or video, you need to embed them onto your website, blog, Facebook Page, Pinterest Pin Board or even in Emails. For example, in the Product and Services tab of your website, you can embed all the respective videos for the same in that section. Your viewers can play videos on your website instead of having to be redirected to your YouTube channel. Moreover, YouTube videos are light and hence don’t make your webpage heavier to load. In comparison, if you upload your video directly to your website or blog, it can make a page heavy which increases the time taken to load the page. Thus, the portability of YouTube videos can help you reach out to a worldwide audience. People can subscribe to your channel. Subscribing is all about automatic distribution. Your Viewers / Customers / clients (or potential ones!) can subscribe to your video channel either via a RSS reader or email. Every time you upload a new video, your subscribers will get a notification. You don’t have to do anything – it’s all automatic. E-mail marketing is still the #1 tool for online marketing today. Thus, you don’t have to send mailers to each and every one, every time you upload a new video. The best part of YouTube is that it is free. All you need to do is activate your creative brain cells and YouTube will help to do the rest.